Weekend Box Office: Yousa mean nobody wanted to see Chappie? That movie starring a corporate drone taught to deliver an endless string of bad quips flopped hard at the box office. But that’s enough about Vince Vaughn, at least for the moment. What of Chappie, Neill Blomkamp’s latest live-action Halo run through? 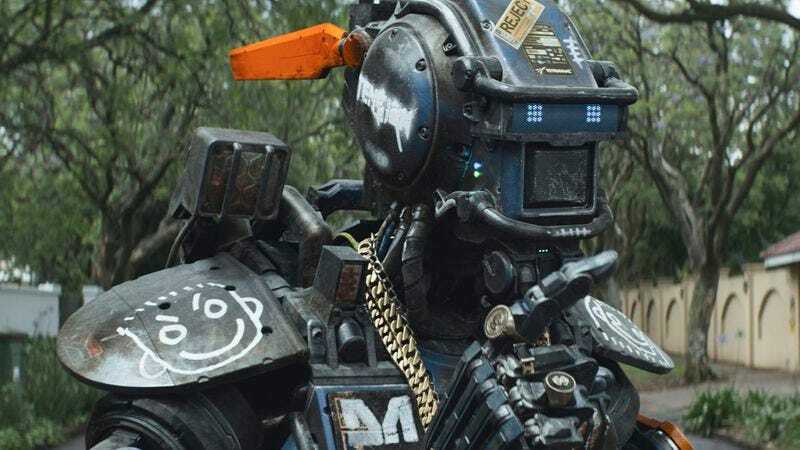 Though it landed in first place—as several other R-rated movies have recently—Chappie opened with only $13.3 million, or less than half as much as the disappointing Elysium debuted to a couple of summers ago, and close to three times less than District 9 made over its first weekend. Even that instantly notorious bomb Jupiter Ascending made more out the gate, though it also cost almost four times as much as Chappie did. So why weren’t audiences lining up around the block to get their hands on Blomkamp’s latest toy? It could be the reviews, which were pretty rotten. Or maybe it was the fact that the trailers never decided if this was a warm-and-fuzzy, Spielbergian robot story or a whiz-bang action vehicle. (To be fair, the movie suffers from the same identity crisis.) Was everyone just turned off by Chappie himself, a simpering, trash-talking curiosity who’s inspired comparisons to Jar Jar Binks, of all widely detested CGI abominations? Perhaps this is just the inevitable box-office consequence of making the same movie three times in a row. If the pattern continues, expect Blompkamp’s inevitable “parable” about a hyper-intelligent dog running from gangsters in futuristic Johannesburg to gross as much as a documentary about experts for hire. But Chappie wasn’t the big loser of the weekend. That dishonor belongs to Unfinished Business, whose abysmal opening suggests that audiences would rather watch a bad Vince Vaughn comedy on their way to Europe than accompany the star on his own paid vacation to the continent. Barely cracking the top 10, the movie made $4.8 million—less than any comedic vehicle he’s ever headlined. The true casualty of the film’s failure may be Tom Wilkinson’s fledgling attempt to reinvent himself as a member of the Frat Pack. He could still take the Neeson route to career rejuvenation and acquire a particular set of skills. Alternatively, maybe Wilkinson should find some way to work himself back into the Best Exotic Marigold Hotel ensemble. (Who knows, his character from the original could have a twin brother!) The star-studded Second installment placed third with a healthy $8.6 million; that’s very solid, especially if you consider that it played on less than half as many screens as Chappie, to say nothing of the havoc the senior discount presumably wreaked on its net gross. It’s proof that comedy has no age restrictions, provided the shtick itself doesn’t feel tired and worn-out. But there we go again, talking about Vince Vaughn.